Home eye eyes health health news useful worldhealthinfo WHAT ARE THE 8 USEFUL THINGS YOUR EYES ARE TELLING YOU ABOUT YOUR HEALTH? 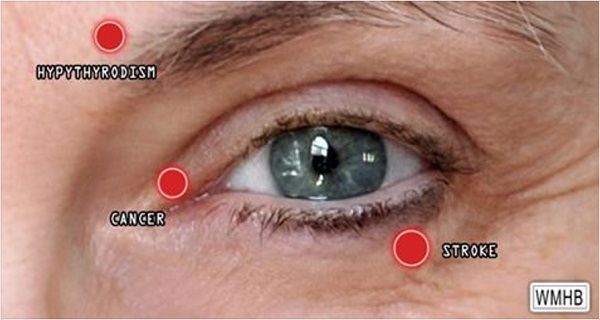 WHAT ARE THE 8 USEFUL THINGS YOUR EYES ARE TELLING YOU ABOUT YOUR HEALTH? When the external part of your eyebrows starts to withdraw on its own, this is a typical sign of thyroid disease. If the problem is still there after 3 months, or if it keeps coming back in the same place, there is a possibility it is a rare cancer – sebaceous gland carcinoma. A so called CVS (computer vision syndrome) causes these problems. The shortage of contrasting colors on a computer screen and the additional effort invested in focusing on pixels all contribute to the weariness of the eyes. These are the typical symptoms produced by classic migraine. They can be accompanied by a headache, but not necessarily. This phenomenon is known as jaundice, when the white part of the eyeball turns yellow. Babies with undeveloped liver function, also adults suffering from liver, gallbladder, or bile ducts dysfunction can experience this phenomenon. Hyperthyroidism (over active thyroid gland) usually causes the appearance of this peculiar symptom. In this way our eyes alert us of a possible stroke. Diabetics are more likely to suffer from the eye problems than others, and the most typical condition they experience is called retinopathy. Retinopathy is a disease in which diabetes changes the circulatory system of the eye. This condition is the main cause of the visual impairment among American adults.